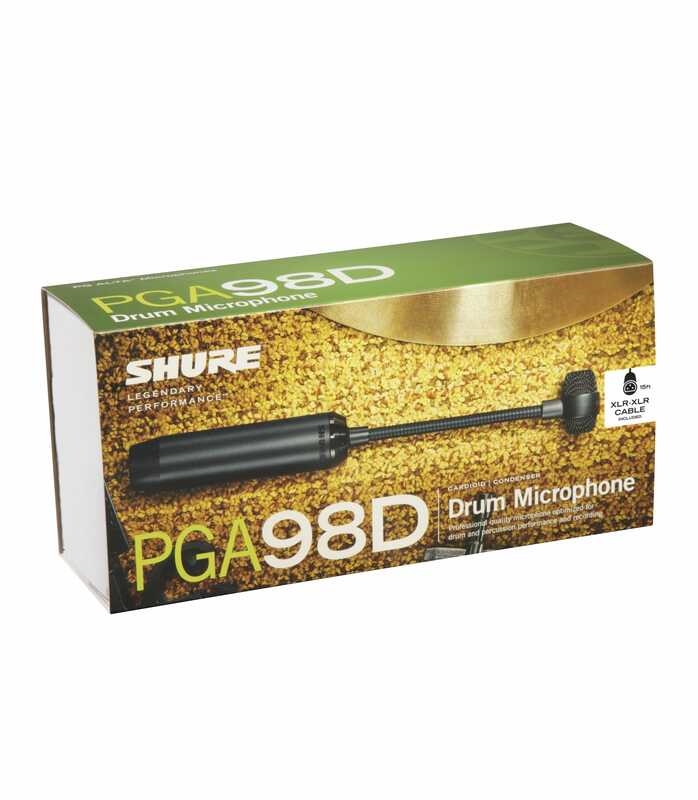 Cardioid Condenser Drum Microphone The PGA98D is optimized for drum and percussion performance and recording. Available with and without a cable. Flexible gooseneck microphone with integrated preamplifier for drum and percussion performance and recording Condenser cartridge (requires phantom power) with cardioid polar pattern One-piece drum mount for fast, low-profile mounting and removal Includes PGA98D, drum mount.The PGA98D is a professional quality drum microphone with an updated industrial design that features a black metallic finish and grille offering an unobtrusive visual presence. Legendary Shure quality construction ensures exceptional performance in rigorous environments. 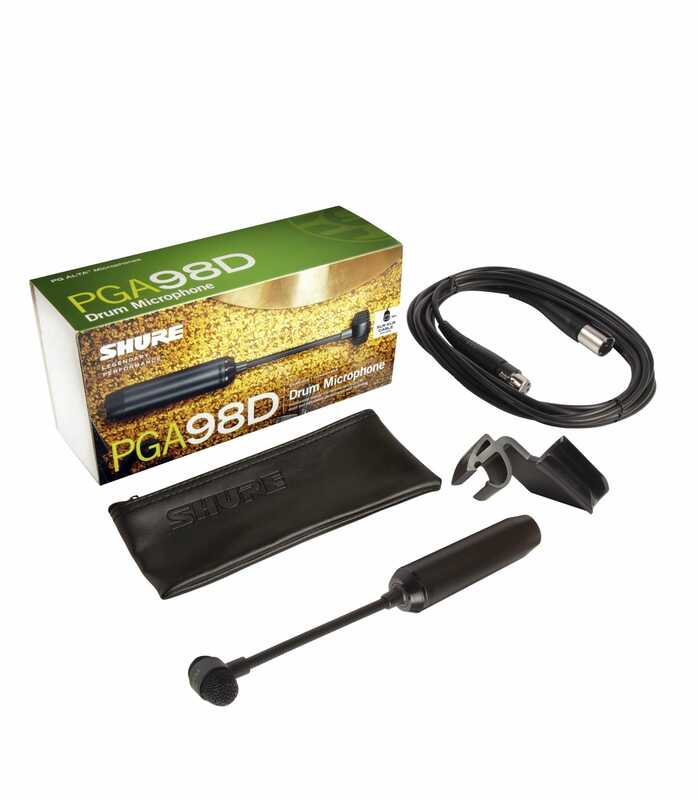 Pga98d Xlr Cardioid Condenser Drum Microphone from Shure is 100% original and brand new. We, at Melody House take pride in our after sales service and support. 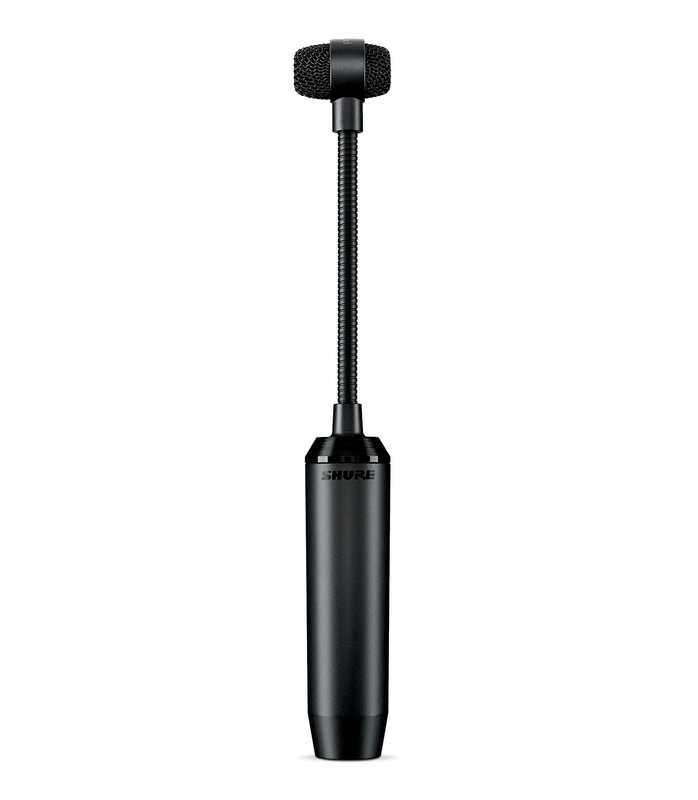 For further details on the pga98d xlr cardioid condenser drum microphone, Shure, simply write to us to consult an expert or order online and we will take care of the rest. Happy Shopping!